Dreaming of owning a one-of-a-kind Ford Mustang? If you’ve got cash to spare that dream could become a reality. Ford Performance has teamed up with drifting champion, Vaughn Gittin Jr. to create the totally unique Eagle Squadron Mustang GT and they’re auctioning it off this month! 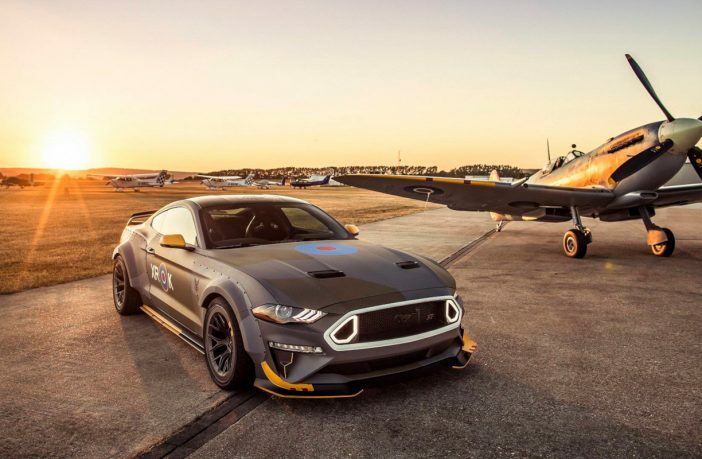 Created in commemoration of the 100th anniversary of the Royal Air Force, this exciting one-off Mustang will be showcased at the Experimental Aircraft Association’s The Gathering fundraiser and auction in July. 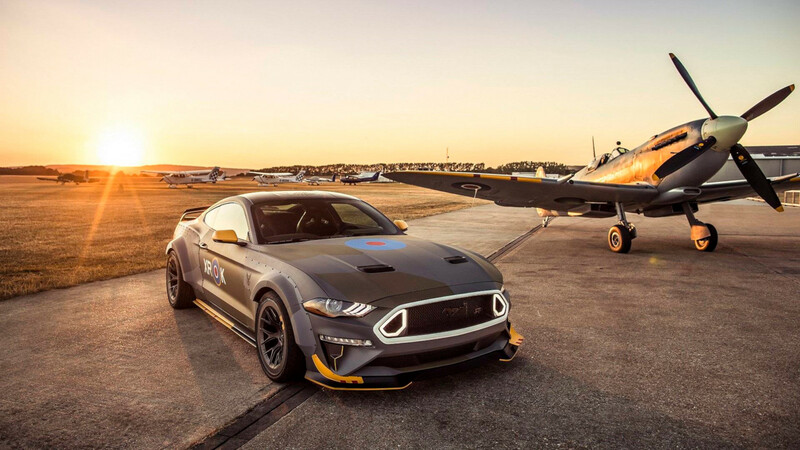 Inspired by the Eagle Squadron – a group of U.S. volunteer pilots who flew combat missions alongside the Royal Air Force from British airfields prior to the States entering WWII – this custom Mustang will be on display for all to see at the Ford booth for the weekend’s event. If you’re interested in owning it (because one can dream), the car will be auctioned off in support of young pilots with all the proceeds being donated to the Experimental Aircraft Association’s youth education programs. Painted in a camo design, to match the original Eagle Squadron aircraft, this unique Mustang features Gittin Jr.’s RTR Mustang carbon wide-body kit and includes a Gurney lip added to the Performance Pack rear spoiler. With 700 horsepower and a 5.0 litre V8 engine, this car is a true monster under the hood.